This amazing spicy avocado dip is a simple dip recipe, made with fresh ingredients including avocados and tomatoes. This simple avocado dip can be whipped up in minutes, perfect for taco night dinner or a game day snack! 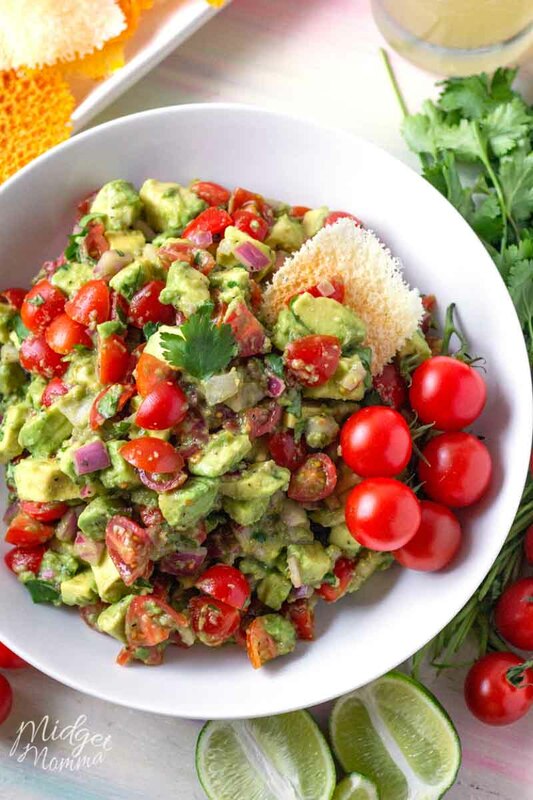 With chunks of avocado and cherry tomatoes, and the perfect blend of spices, this avocado dip is one that will be made time and time again when you are wanting a crowd pleaser dip! 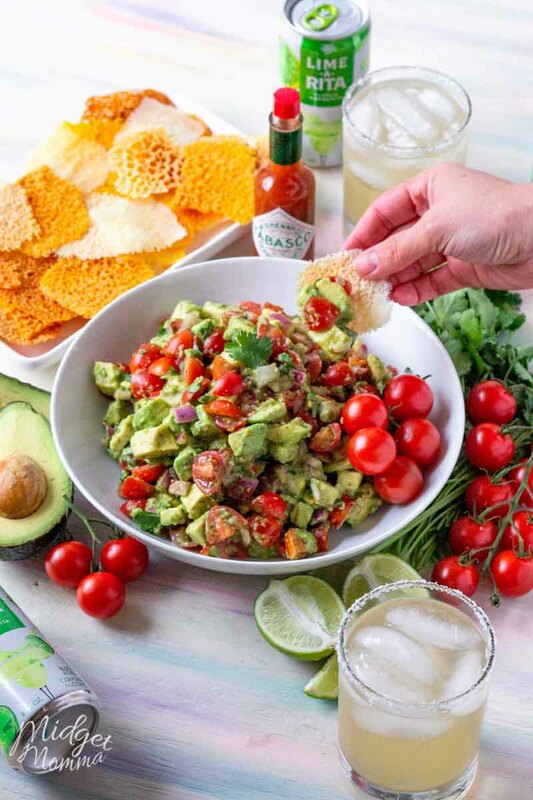 Disclosure: This is a sponsored post written on behalf of Forward Influence for Avocados From Mexico, RITAS, and TABASCOⓇ Brand. The opinions and text are all mine. If you have been around for any amount time, you know that here at MidgetMomma.com we LOVE avocados! We eat them all the time and use them in so many different recipes because they are sooo versatile and tasty! For us, Avocados from Mexico are always worth it because they’re healthy, delicious, and always in season. They are a must have on my grocery list every week! 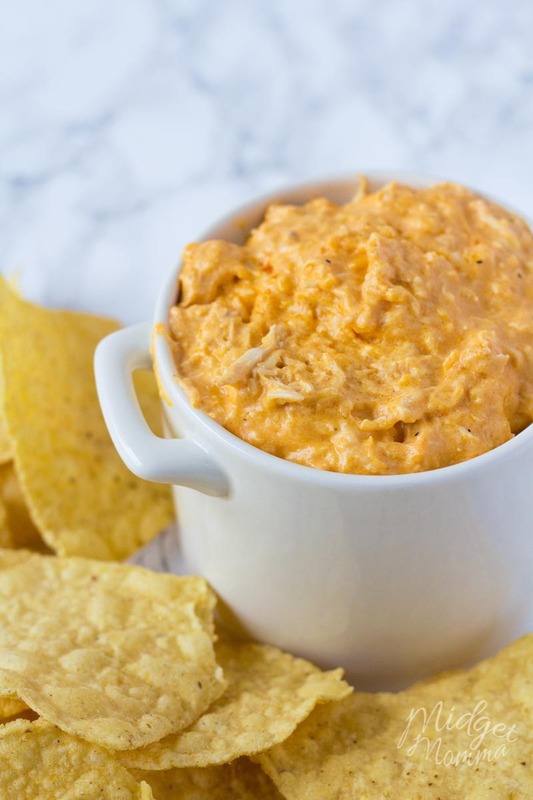 With a big game day right around the corner, I figured now was the perfect time to share a delicious low carb and keto friendly dip that is perfect for your party! 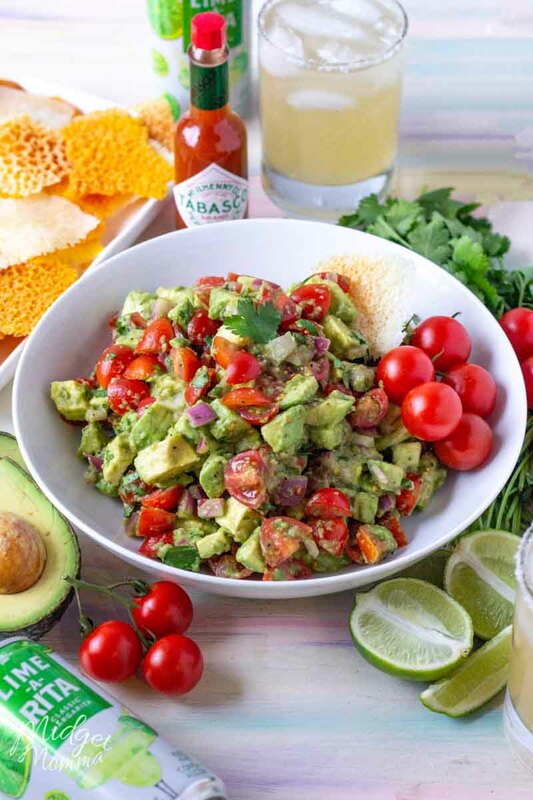 This avocado dip recipe has simple ingredients like avocados and TABASCO® Sauce that make it a delicious party dip option, that you can feel good about enjoying! 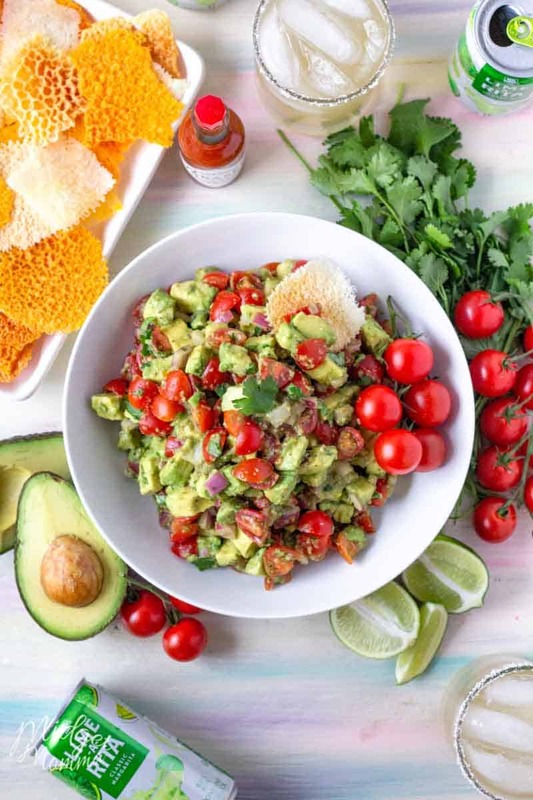 Since TABASCO® Sauce adds a little spice and excitement to any and every meal, when you make this avocado dip recipe you can add more or less of it to give it the kick you want. 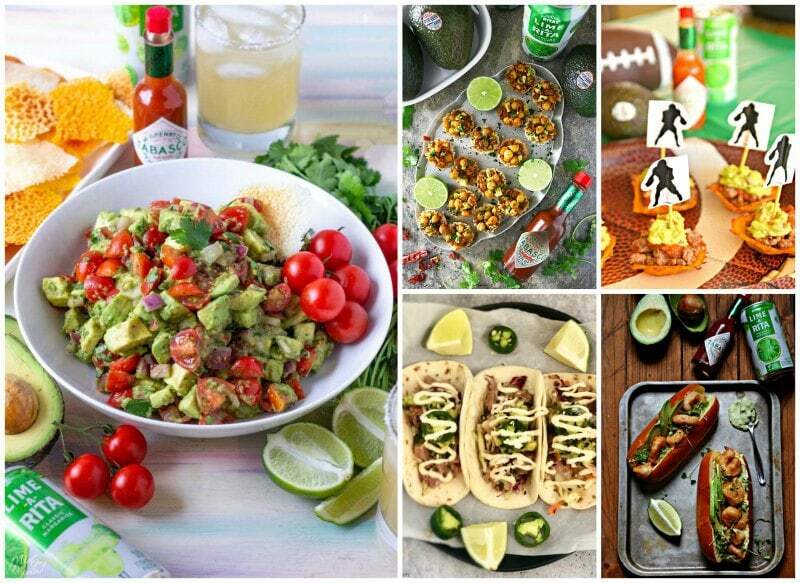 If you are looking for more avocado game day recipes be sure to check these out! This avocado dip is perfect for dipping! Make some homemade keto cheese chips or grab a bag of tortillas for dipping! 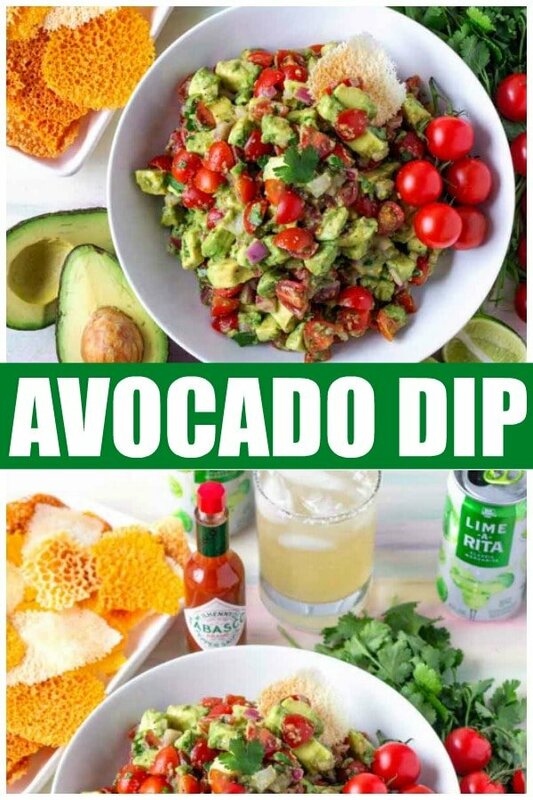 If you are wanting a fruity, fizzy fun drink to go along with your tasty low carb avocado dip, a Lime-A-RITA works perfectly flavor wise! If you are looking for a tasty fruity drink but wanting to keep your carbs lower on game day, the Coco-Nut-RITAS is the one with the lowest amount of carbs, for the RITAS drinks. 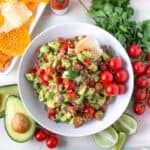 This amazing spicy avocado dip is a simple dip recipe, made with fresh ingredients including avocados and tomatoes. 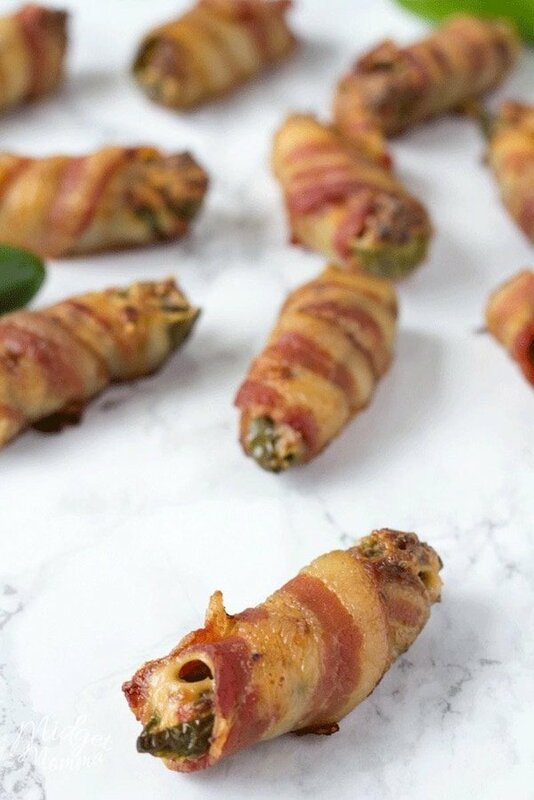 It can be whipped up in minutes, perfect for taco night dinner or a game day snack! In a large mixing bowl whisk together the Tabasco, oil, lime juice, vinegar, garlic powder, and red onion until well combined. Cut the tomatoes into quarters and add to the Tabasco mixture. 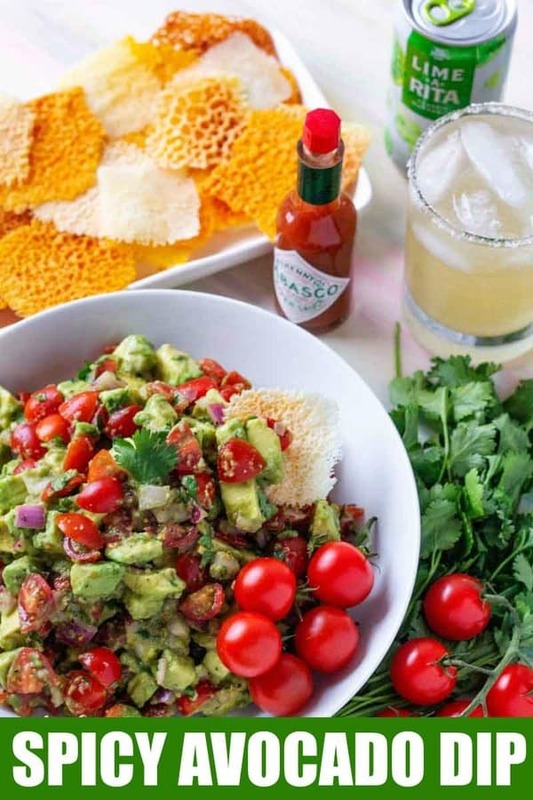 Slice the avocados into chunks and add them into the Tabasco mixture. Sprinkle the fresh cilantro on top and gently stir to combine, making sure you do not squash the avocados. Serve with a side of cheese chips or tortilla chips. You can even use this on top of chicken or fish. 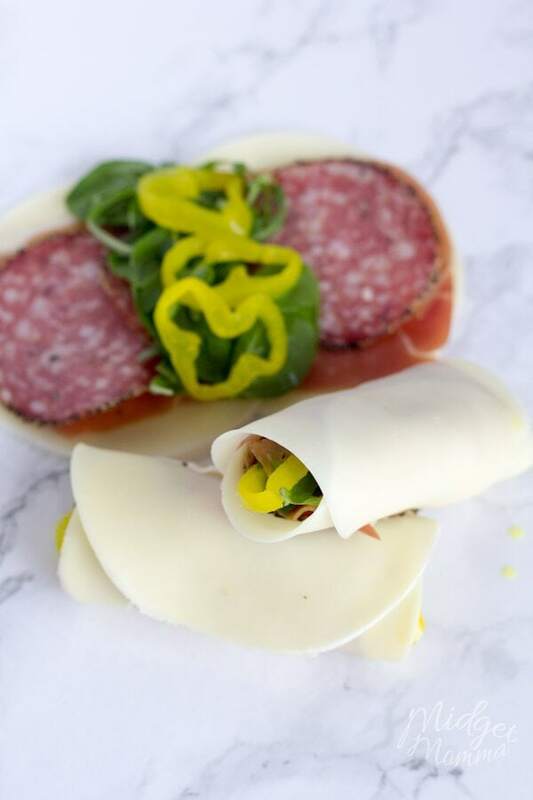 More Game Day Recipes you will love!